If you are looking for a unique experience for your bachelor or bachelorette party, consider renting a boat with your closest friends and taking your celebration out to the water. A cruise on the open seas, whether just for the day or for an overnight, will be an experience to remember. Spend an afternoon, evening, or full day cruising with a view; your party is whatever you want it to be. And we have some recommendations and advice for planning a bachelorette party on a sailboat, yacht, or catamaran. Specific destinations make for a great bachelorette party. We recommend an afternoon or evening sail in NYC or a tropical day or two in Miami, Florida. If in Europe, Lisbon, Portugal is a great place to host your party if you are looking to enjoy good food, fine wine, and great music. We also recommend the resort city of Palma de Mallorca, Spain-- another relaxing and beautiful place to celebrate by boat. While in Palma de Mallorca, many people like to take a trip to the famous party island of Ibiza; hop a party boat to or around Ibiza for a jaunt you will never forget. 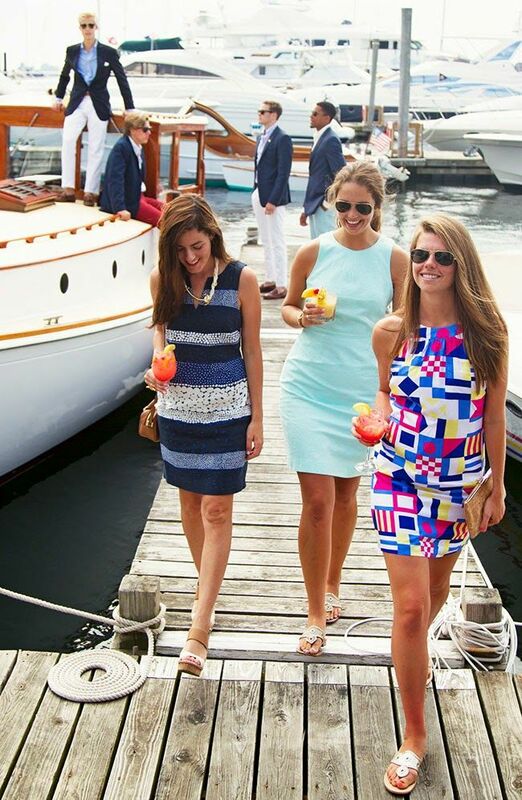 Before deciding upon the boat for your party, make sure you have a budget in mind. Boat rental prices vary from a few hundred to tens of thousands of dollars per day. Having a budget in mind will help you search for the right boat within your price range in the desired location. Having a guest list with a set number of people will be important in finding a boat that can accommodate all of your friends. 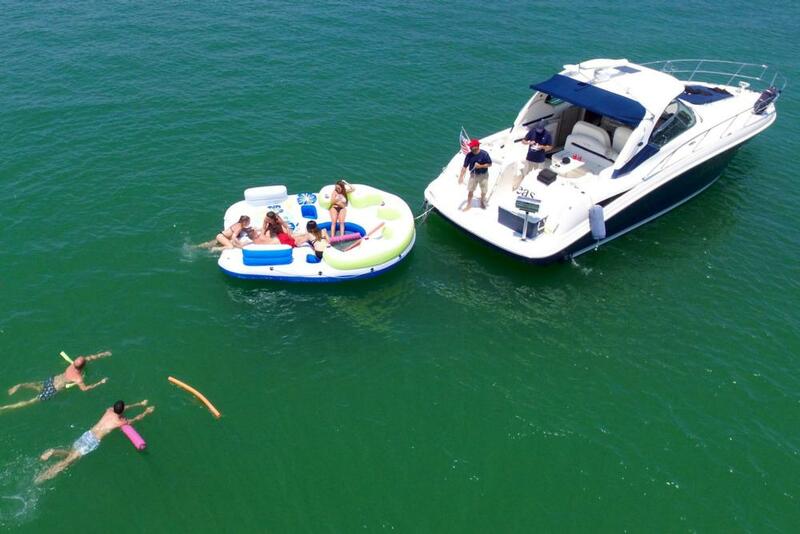 Once you make the decision to have the party on a boat be sure to book the boat you want in advance. This will help avoid unpleasant non-availability surprises and ensure the proper amount of planning. The most popular and desirable boats get rented first. Many boats are equipped with sound systems that allow you to play your own music by connecting your phone or device with an AUX cord. Crank up your favorite tunes and work on your wedding tan. Some boat listings can even include a DJ. Talk to us at Sailo, or message a boat owner directly over our platform to see what is possible. Food and drinks can be arranged by boat owners and captains who have a lot of experience when it comes to hosting boat parties. If you plan on spending a day or couple of days on the boat, consider looking into water sports. No need to spend all your time lying on the deck when you can get out and snorkel, ride jet skis, go tubing, or wakeboarding. 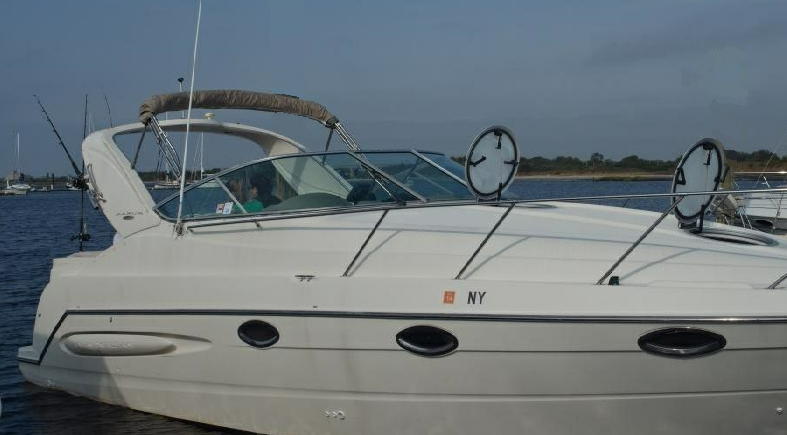 In NYC you can hop aboard this 30 ft. MAXUM to enjoy wakeboarding and waterskiing. Or take a cruise on this 38 ft. Sea Ray in Miami equipped to take you and your friends snorkeling, wakeboarding, and waterskiing. Once you decide all the details, make sure you let your guests know how they will get to the boat and get back from the boat pickup/dropoff location. Coordinating with the captain will make the pickup and drop off process as seamless as possible for all of your guests. In terms of safety, the boat will have enough life jackets for all members on board, first aid equipment, and other safety precautions and requirements that are necessary for the boat to be listed on the Sailo website. We also advise to bring plenty of sunscreen, ice, and an extra layer if the winds pick up and it gets chilly on board. Book your bachelorette party today! Check out our boats in New York City, The Hamptons, Miami, Lisbon, and many more locations, that will ensure a memorable time for you and your friends. As always, do not hesitate to contact us at concierge@sailo.com or on live chat for any help or questions regarding planning your event.